It was not quite the lifelong political marriage that the former Massachusetts governor pledged. Turns out, there’s a little cheatin’ going on. Now Weld is returning to his roots — at least temporarily. He is helping to head up a big fundraising event in Cambridge next week — for the state Republican Party. And he is throwing his support to GOP US Senate candidate Beth Lindstrom and Governor Charlie Baker in the 2018 election. At Tuesday night’s event, he will join Baker, Mitt Romney, and Jane Swift as the featured draw by the state Republican Party, which is looking to use its former leaders to raise money. Meanwhile, just four days after he cavorts with his old GOP pals, Massachusetts Libertarians will hold their annual convention in Westborough — an event Weld is not going to attend because, he says, of a prior commitment. He is taping a message for the gathering. 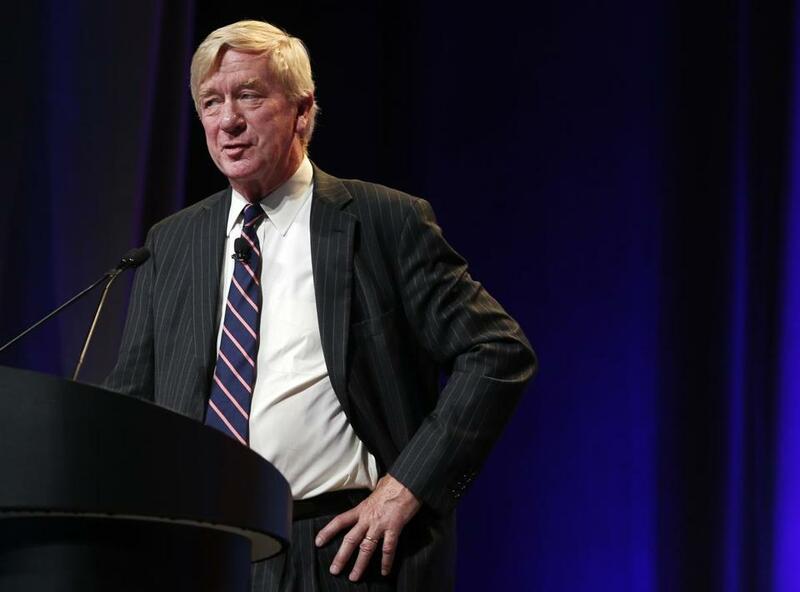 His flirtation with the state GOP is jarring for anyone who remembers that Memorial Day Weekend last year when Weld pledged his undying allegiance to the Libertarian Party — and renounced his Republican roots in no uncertain terms — at a boisterous national convention. He told them it was a “relief” to break his ties to the GOP. That speech was enough for him to barely eke out enough votes among the skeptical delegates to get a place on the national ticket. Reached this week, Weld attributed his flirtation with his old state party to his personal relationships within the state GOP. He said he is not able attend the state Libertarian Party convention on Oct. 14 in Westborough because of a longstanding commitment to be in Waltham. Weld’s moving back and forth across the party lines is, as his old political team affectionately says, just Weld. (In 2008, he voted for Democrat Barack Obama for president.) But he gets brickbats from both sides. Some anti-Baker GOP loyalists on the state committee are angry, calling for the party to break their ties to him. And he has never calmed down a good many Libertarian activists who never trusted his conversion in the first place.